Have you ever seen a grey baby horse? Unless it was an albino, or a unicorn, then probably not. 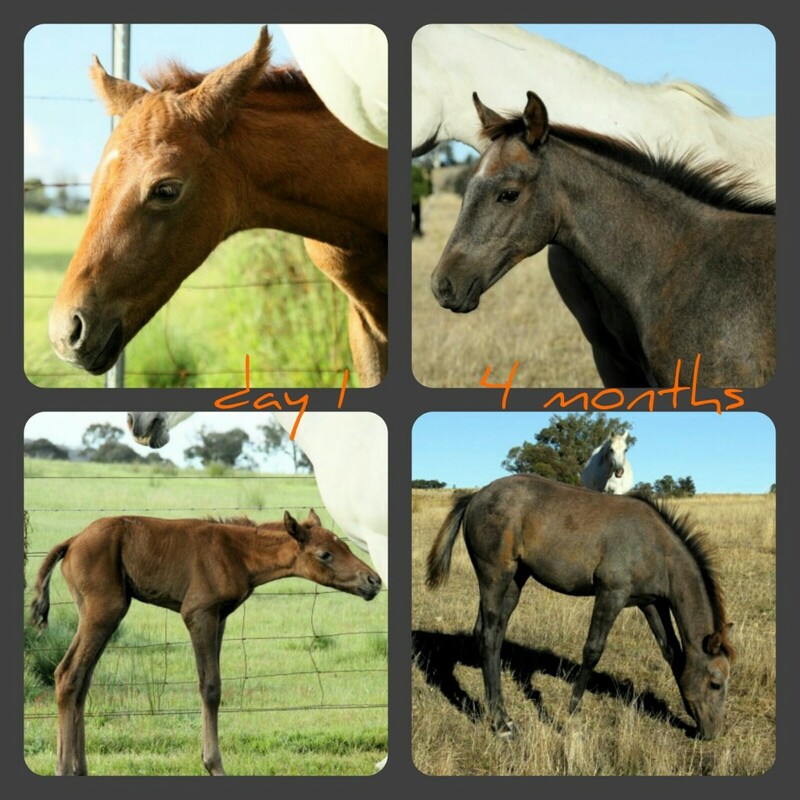 Horse colour genetics are incredibly complicated, and we don’t proffess to be experts, but we’ve been doing a bit of investigation since out chestnut filly has started undergoing a transformation. Grey genes are dominant, so if at least one parent passes on the grey gene, the foal will turn grey (remember Mendel’s wrinkly peas from high school?). But grey horses are rarely born a recognisable grey. Rather, they are usually born chestnut, bay (dark brown) or black and their base coat will progressively silver as they age, first showing signs from a month or so of age. Over time, white hairs replace the birth color and the horse changes slowly and during the greying process, a horse may show varying shades of grey. 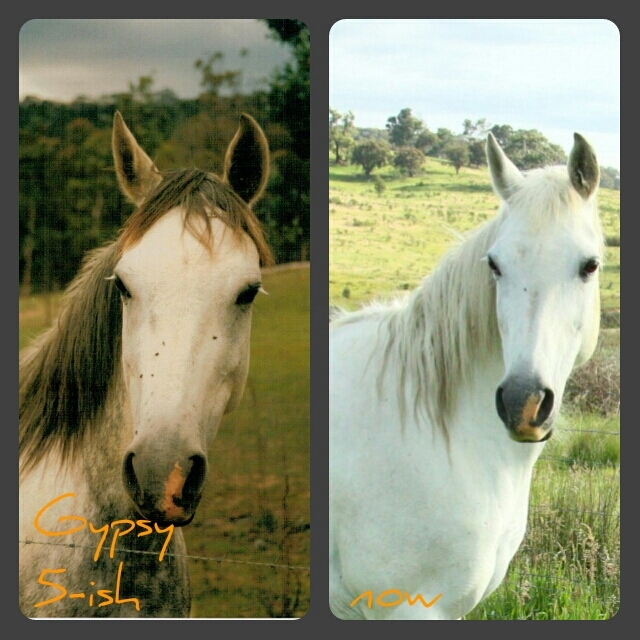 So as Tinky grows and matures she will end up pure white but we’re looking forward to the many shades of grey along the way. Gray horses appear in many breeds, but they’re particularly common in breeds descended from Arabian ancestors (so we definitely blame her mother). And, according to Wikipedia, all the grey horses around today carry an identical mutation derived from a single ancestor and it’s us humans responsible for their proliferation – because we liked the look of them.